Our Arch Bridge is a great way to create new pathways and include dramatic play on the outdoor preschool playground. 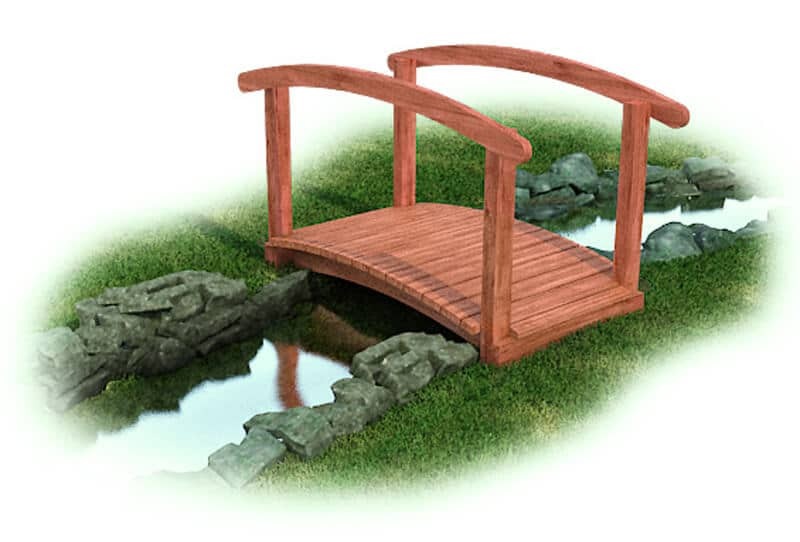 Place the playground bridge over a small creek or dry creek bed to create a path over the stream. You can also place the Arch Bridge over any kind of dip in the ground, creating a new pathway over the uneven ground. Children will love including the bridge in their dramatic play as they travel over the bridge on an adventure, go “fishing” off the bridge, or reenact stories like the Three Billy Goats Gruff. The Arch Bridge with Rail has a 2′ 2″ high rail and is 13″ off the ground which gives children the exciting illusion of being up high. 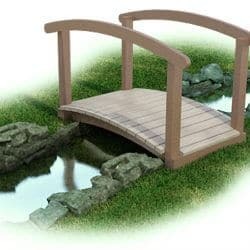 The Arch Bridge is available in cedar wood for your natural playground, or maintenance-free plastic.